Asbestos, once considered a revolutionary material in home building and industry, has since become feared for its toxicity, stirring a decades-long public health scare. Due to it’s malleable, yet heat and corrosion resistant properties, it was once common to find asbestos in nearly every construction material from insulation, plastic, tile, adhesives and roof shingles, to major home appliances. 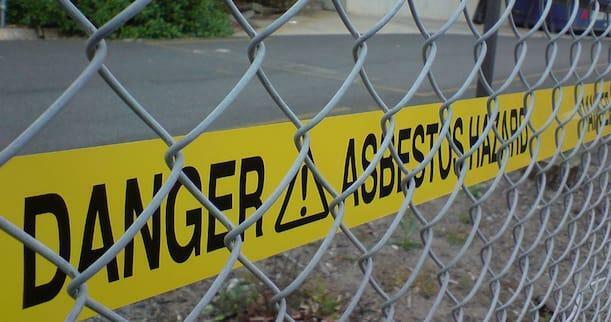 While regulation has heavily restricted most asbestos applications, older buildings and machinery still frequently contain high-percentage asbestos products, leaving many to wonder - am I or a loved one at risk of exposure? Fortunately, since asbestos isn’t considered dangerous until it is disturbed and the fibers become suspended in the air as PM2.5 or PM10, it’s generally people with occupations that deal with these materials, that are at the most risk. Once these fibers are inhaled they can lead to numerous health issues, including the rare and aggressive mesothelioma cancer. With this toxic substance being the number one cause of occupational cancer in the U.S., it’s important to identify which industries handle asbestos-containing material in their everyday duties, and take or encourage the proper precautions when at risk of exposure. While we continue to push for progressive global policies, as well as local bans on this carcinogen, our strongest tool is spreading awareness so people can know how to best protect themselves. Highlighted below are the most high-risk occupations and how these workers may come into contact with asbestos. Construction already has a reputation for being one of the most dangerous jobs due to the risk of injury from heavy equipment and falls, however, asbestos exposure is another important factor. This industry is known to have one of the highest uses of materials that contains asbestos, which includes insulation, roof shingles, cement, and floor tile, to name a few. It is reported that over 1 million construction workers are exposed to this substance annually through repair and renovation projects. 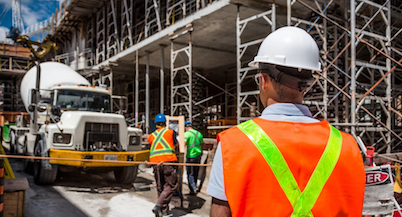 With numerous jobs at risk, some of the most vulnerable include demolition crews, drywall installers, roofers, cement workers, and pipe fitters. Due to asbestos’ “miracle” properties such as heat and fire resistance, the substance was prominently used throughout ships, especially within the military, for nearly every aspect of construction, from boilers and insulation to the paint on the walls. Navy veterans are especially vulnerable to developing asbestosis or mesothelioma due to being confined on these vessels for long periods of time and being potentially exposed to damaged or corroded materials. Those involved in this field should monitor their health, as symptoms of asbestosis or mesothelioma can take 10-50 years to show. Asbestos poses a serious health threat to firefighters, as flames break down protective enclosures and binding attributes, releasing asbestos into the air. While firefighters are usually vigilant in wearing protective gear to ward off exposure, the fibers can remain airborne even after the fire is controlled, causing a false sense of security. It is reported that over 800,000 tons of asbestos were produced prior to 1973, in the US alone, making any building built before 1980 at risk of containing the toxin. Mechanics are at high-risk because asbestos has long been considered an ideal material for mechanical parts. Aside from older equipment, repair shops are often not well-ventilated, causing the risk of asbestos dust to accumulate. There is also a risk of exposure through poor cleanup procedures, such as wiping away dust, causing the fibers to become airborne and easily inhaled. It’s crucial to consider these factors as many workers are unaware that their own products can contain asbestos and therefore don’t take proper precaution to protect their lungs. The best means for protecting oneself from Asbestos is it to first understand the level of hazard present in the air. As an invisible, scentless particle, asbestos is particularly troublesome since its impossible to gauge the threat level without the proper tools for doing so. 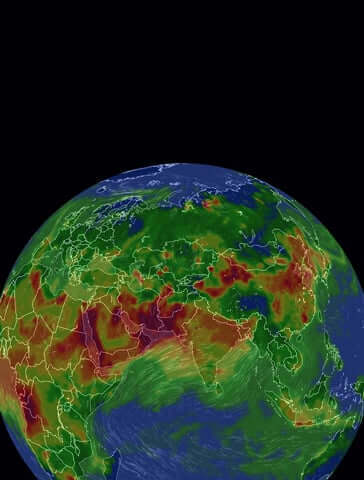 The AirVisual Pro air quality monitor lends it itself as an excellent tool for identifying the level of airborne particles, and informing what precautions need be taken at each stage. It’s easy to understand, and color coded icons, convey the data in simple terms, so that the whole team can get involved in improving air quality.